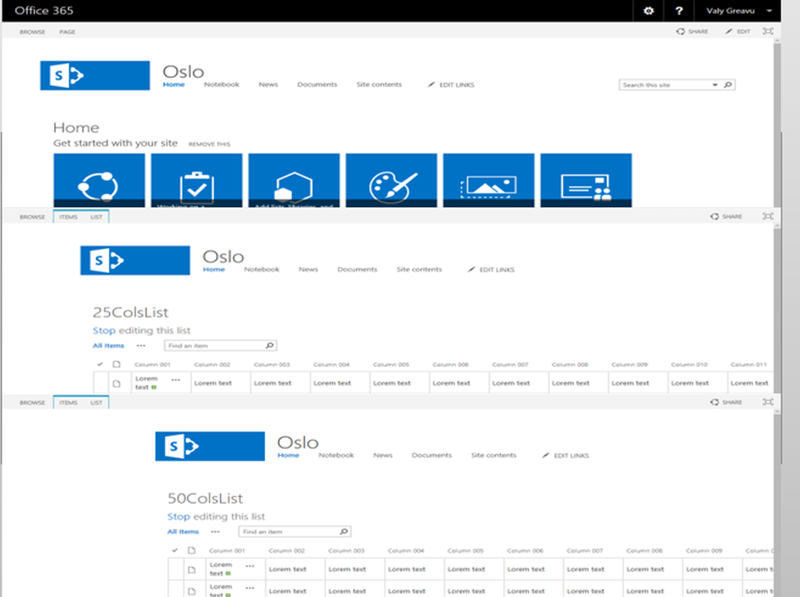 This article describes a method for solving a problem with the interface in SharePoint sites with Oslo master page layout. 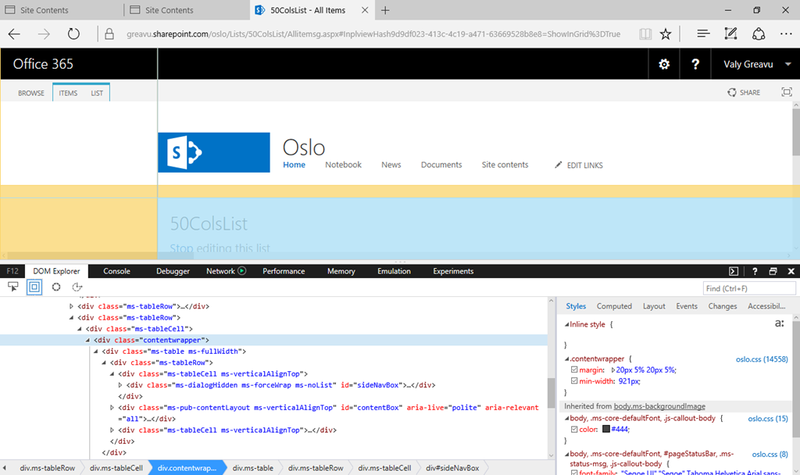 When you are selecting an Oslo master page layout for your site (Team Site) there is an issue in displaying large column lists. You can observe left margin. If the list from the site contains more columns the left margin is bigger. 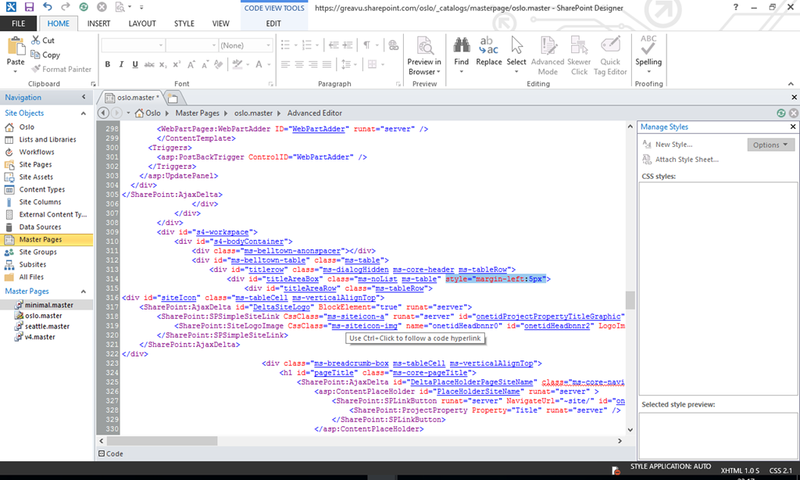 div id=”titleAreaBox” and to div class=”content wrapper”. You can observe in Style section, value of the margins of content wrapper are in percent’s. These percent’s that are applies here are from the width of the page, not of the screen. 1. 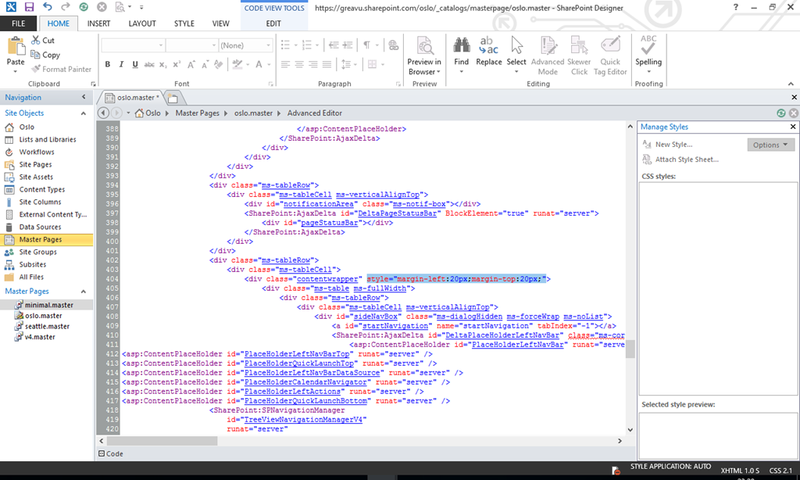 In SharePoint Designer 2013, open the site and navigate to Master Pages section. Save the page and go back to browser and refresh.